The past few days have been busy because I've been slammed at work, but I know I need to post before things I want to put out there become less relevant. On Sunday, as I was headed to Game 6 of the NBA Finals in Miami and I received a picture of some Mavs fans with signs... 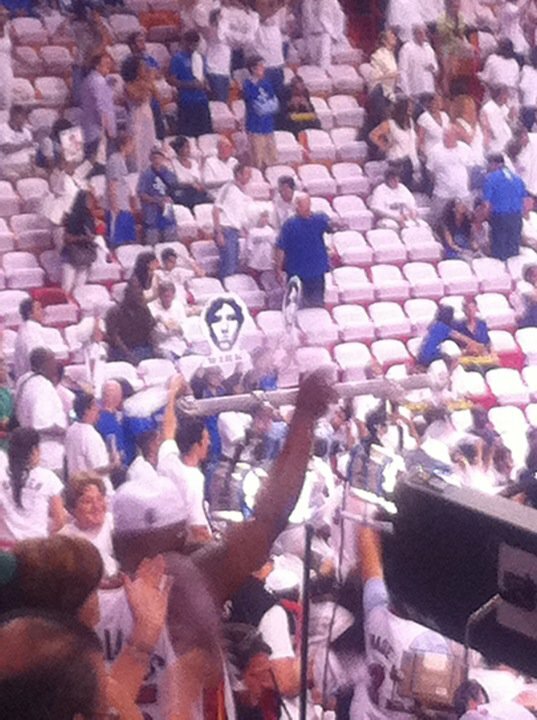 They had huge Dirk WIRK signs! As soon as I saw the picture (i.e. 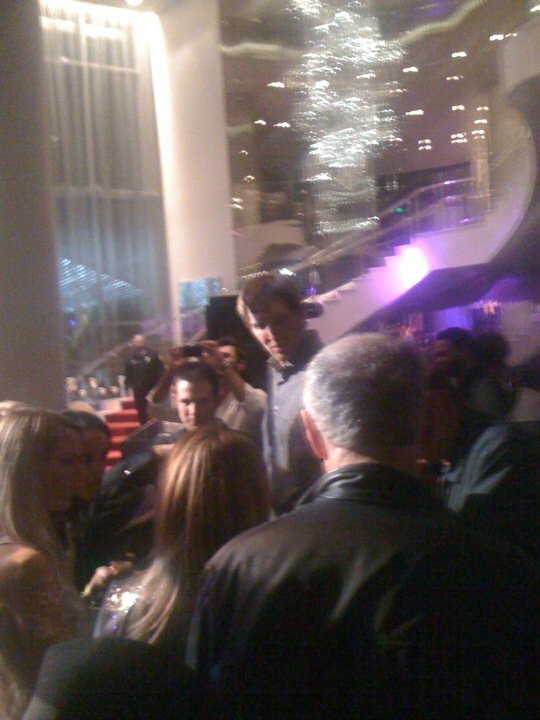 sent from Mandy), I told her I was on my way to the arena and had to figure out what was going on. At half-time I raced past an usher and my friend who writes for Yahoo! Basketball to head down to their section to chat with them (i.e. and pose with the sign). **** Incidentally my writer friend texted me just after the opening tip to ask, "U have anything to do with dirk signs that say wirk on em". Too funny. The answer is, "No". Here's a picture of the nice Mavericks fans who explained the signs to me and gave me the name "Jordan Rogers" as a person to try to locate to get more information about the Dirk WIRK campaign. The website for the Dirk WIRK shirts and the Ghostface Drillah shirt is http://www.newdirkshirt.com/. If you're a Dirk Nowtizki fan and/or a Dallas Mavericks fan, you should check it out. As a basketball fan who always find herself defending the purity of the sport and the competition, I find it refreshing that the Mavericks defeated the Miami Heat this year. Dirk isn't a flashy player. By now, if you watch ESPN you've seen the footage of him in the gym shooting his off-balance fade aways with his shooting coach. The man works/wirks hard and I think these shirts are a great way to support and show my appreciation of his effort towards the sport. I don't know him, but Dirk seems like a solid, class act. I'm happy my last name rhymes with his first. 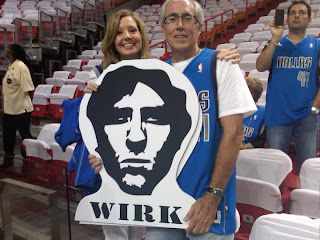 For the past few NBA playoffs series, on the way to the 2011 NBA Championship I've changed my facebook status to Wirk "hearts" Dirk. These shirts are beyond cool. Check them out. **** Disclaimer: These are NOT my shirts. I do not get any money for promoting them. any idea what happened to the site selling the wirk shirts? would really like to get one! good question! you're right. the link doesn't have much on it anymore. i'll ask jordan and find out what's going on. thanks! I really want one of those shirts...and hopefully we can get some basketball playing soon!! No luck. Sorry. Maybe check and see if there's any additional contact info on the website.